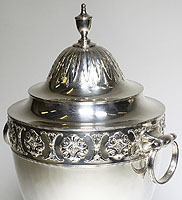 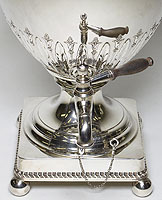 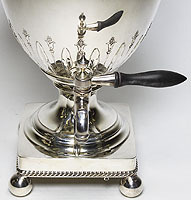 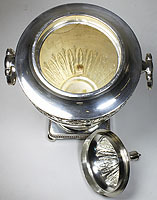 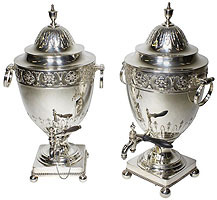 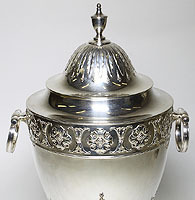 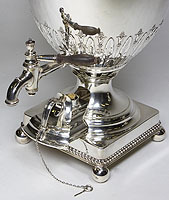 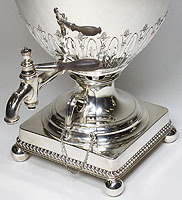 A Fine and Large Pair of English 19th Century George III Style Plated Hot Water-Tea Samovars by Elkington & Co. London, each urn-form finely chased with a floral design reservoir with side ring-shaped handles, surmounted by a domed cover and raised on square base and ball feet with pull-out burners. 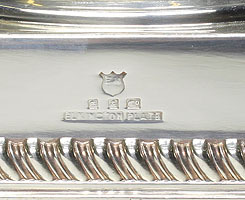 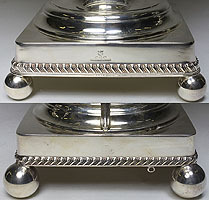 Stamped: "Elkington Plate" with hallmarks. 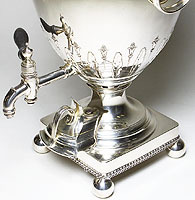 Circa: London, 1880.